We just didn’t do it. Most people do vacations. They go to exotic places. Tropical places. Far away places. Disney places. Velda and I … not so much. 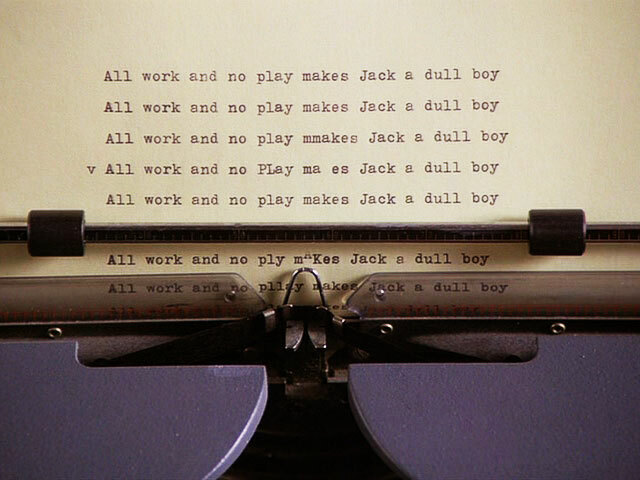 Stanley Kubrick got it right in Stephen King’s “The Shining” … you need to get away or you’ll go crazy (or, in this case, be dead!). No honeymoon. One SoCal theme park tour when I was in that business. One long weekend to Santa Barbara on our 10th anniversary. Family camping trips. One long weekend to the Grand Canyon. And rather infrequent trips to the midwest to see family, when we could. And that was it. People work for a living; that’s nothing special. But I do think its essential that you GET AWAY once in a while. Vacations are good for the soul. They grow unusual trees in Hawaii. We talked about going to Hawaii for our 25th Anniversary … didn’t happen. Kids were still at home and in school; there was just too much going on. I think we went out to dinner somewhere. So, by the time we were nearing our 30th Anniversary, it was clear that we had to make something happen. I’m the guy that likes Big Hairy Audacious Goals, right? Time to go big. Neither of us had ever visited Hawaii, so we decided to visit 3 of the islands: Oahu, Kauai, and the big island of Hawaii. We only had a dozen days, so we had to make a lot of tough choices. Which part of paradise to see? Right, tough choices. The Memorial building — that you reach after a short cross-harbor ride on a US Navy launch — is over the sunken Arizona. You see oil drops rising to the surface, and you see wreckage extending above the water. We ended up only staying two nights on Oahu; long enough to only get a taste. Waikiki was very photogenic, and I regret not having more time there. We visited the USS Arizona Memorial, which to me was most like visiting the cemetery at the Gettysburg National Military Park. 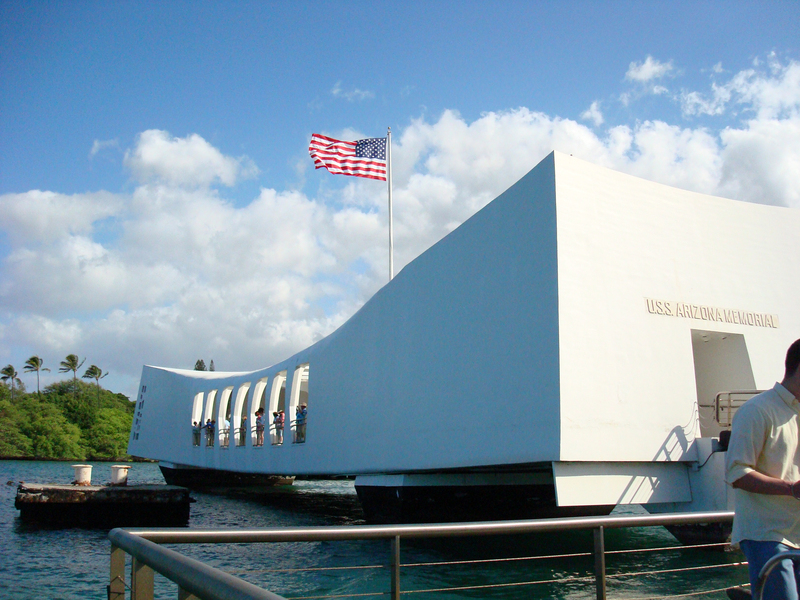 At Pearl Harbor, you are literally visiting the final resting place of many sailors lost in battle … and even more sailors that survived the battle chose to return there for their final resting place. The whole experience is sobering and humbling. This kind of emotional catharsis isn’t a common goal for vacations, I believe, but you will plumb the depths of emotions at this Memorial. The USS Missouri, now basically a floating museum, faces the memorial for the USS Arizona. The peace treaty ending World War II was signed with the Empire of Japan on the deck of the Missouri. Should you go there? Absolutely, just be prepared for the experience. 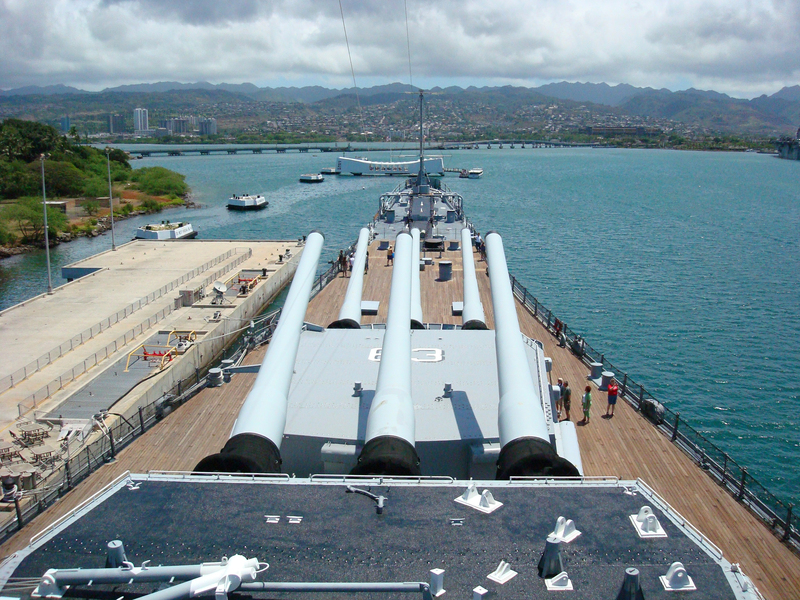 Next to the Arizona is where “Mighty Mo,” the USS Missouri, is on display. Nice to see those big guns that helped us win WWII. And, those are the same guns that Cher used in her video. Pretty amazing, when you think about it! 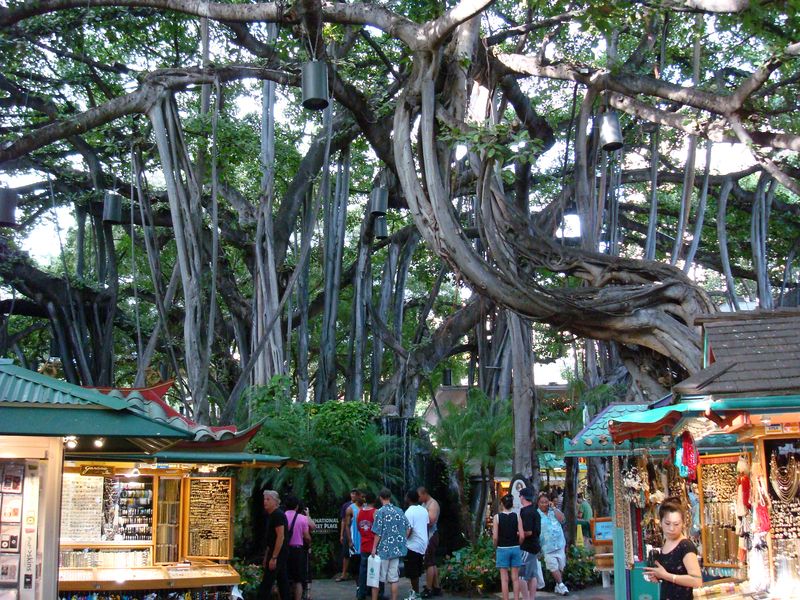 A much more “vacation-like” experience was wandering through the International Market Place in the heart of Waikiki Beach. I’m not a shopper … but Velda did get some new jewelry. I’m pretty sure that’s when I was forgiven for not getting to Hawaii until our 30th anniversary. We used our 2 days in Honolulu to get into vacation mode for our “real” vacation on Kauai. We definitely accomplished that, but I do regret that we have not yet taken the time to explore Oahu. 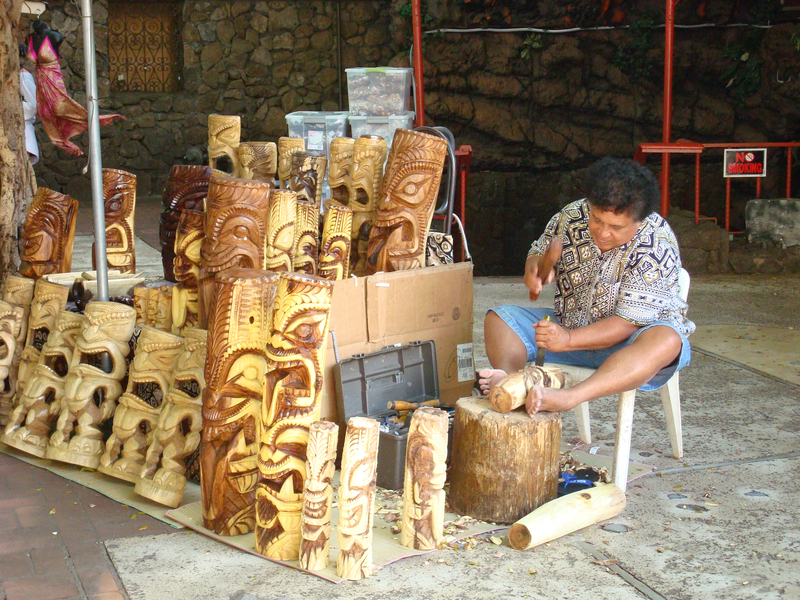 There is much more to see there … and I’m now pretty sure that I need to buy some koa there. I’m a woodworker, but I never considered holding my workpiece with my bare feet. And this craftsman is even using a sharp chisel! 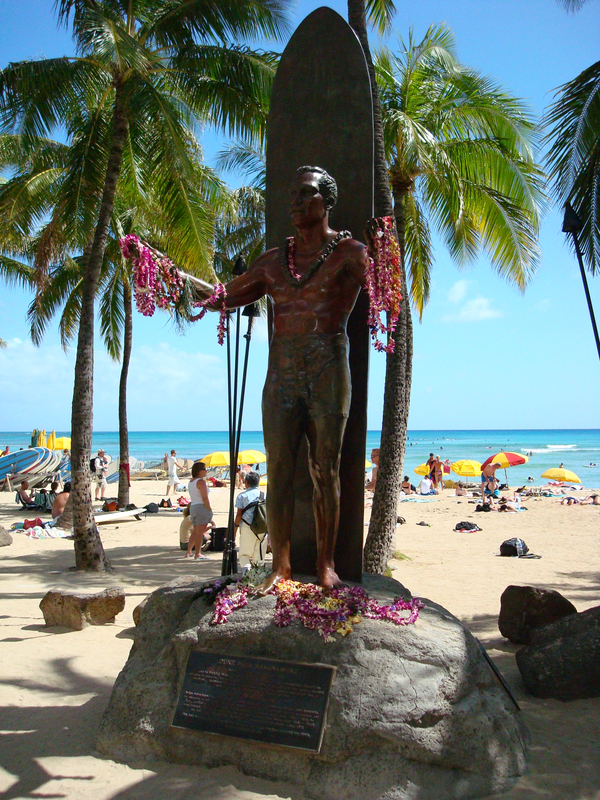 The statue of “the Duke” is very visible on Waikiki. You see it in every episode of Hawaii Five-0! There’s a webcam pointed at the statue; we had fun texting the link to family & friends, and then posing for the poor people stuck back home. 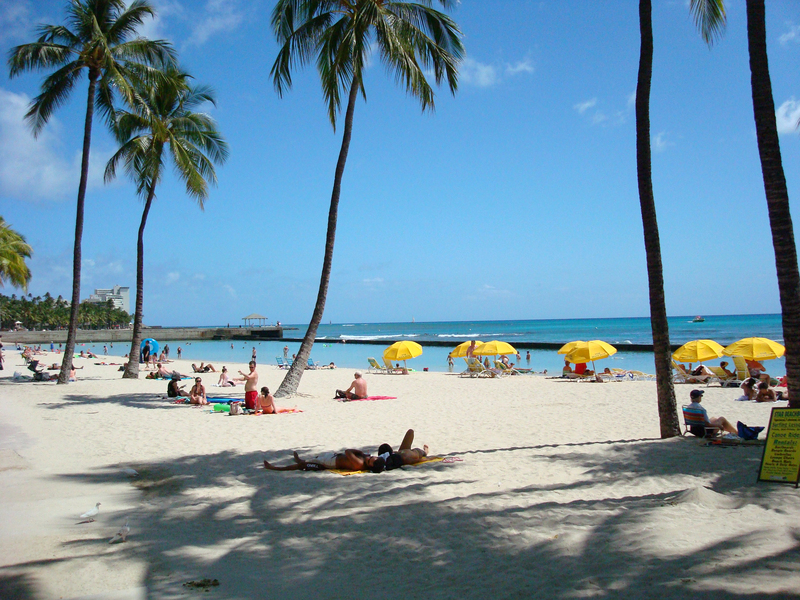 Who hasn’t dreamed of lounging on Waikiki? And that day will be a very good day, believe me! Beautiful! I’m glad you guys were able to experience this. Maybe in a couple years my husband and I will be able to do the same thing. Maybe for our 45th? will we be too old? Too old? WHAT are you talking about? You might not be wanting to climb mountains … but you can go to Luaus! I’ll be posting about our other island visits over the next few days; hopefully that will help you with some planning.